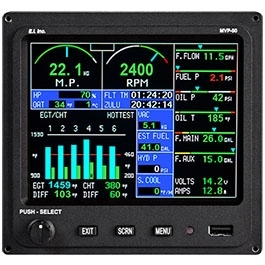 Electronics International MVP-50P-4-C Engine monitor. The Electronics International enhanced TFT glass MVP-50P instrument display is able to replace over 15 Engine Instruments and about 50 Functions in one full color, single unit. 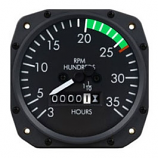 As one of the most robust engine and system analyzers on the market, this specific instrument is equipped with many displays including: Full Digital, Rich-of-Peak, Bar Graph, and the Lean-of-Peak. 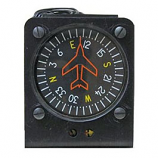 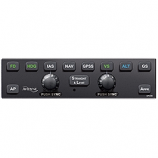 This TSO'D MVP-50P-4-C is a 4 Cylinder Package which includes voice annunciators, red and yellow visual warnings, Pilot-Programmable colors, and a voice alarm for each instrument display. 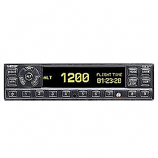 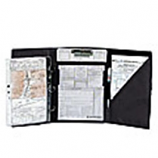 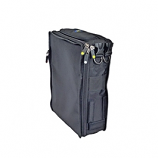 This unit has excellent viewability and is manufactured with an easy-to-read and easy-to-use format, allowing the pilot to reduce workload and any cockpit clutter.